Dogs can have food allergies just like people do. It can be a particular ingredient in a mixture of other foods. That one ingredient can make your dog feel pretty sick. Food allergies often start when your dog is a puppy so if you have a puppy watch him closely to see how he reacts after eating. 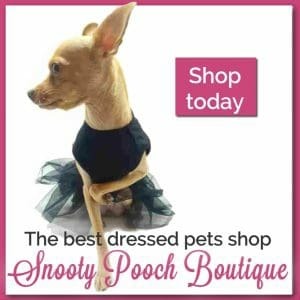 There are a lot of signs that your dog may have food allergies and one of the most common is itchy dry skin. 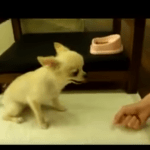 It can become so uncomfortable that your dog will scratch herself silly. She will develop raw hot spots. 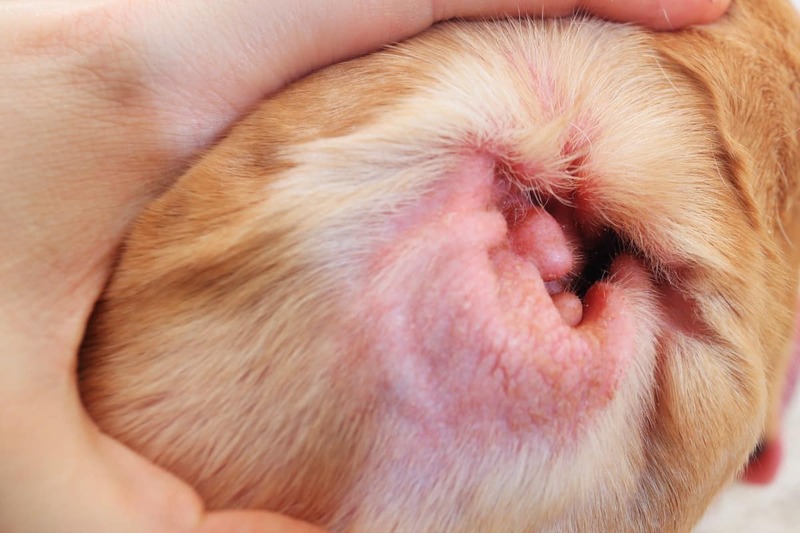 If your dog has a thick undercoat or a lot of hair, spread their fur to check the skin for these sore spots. 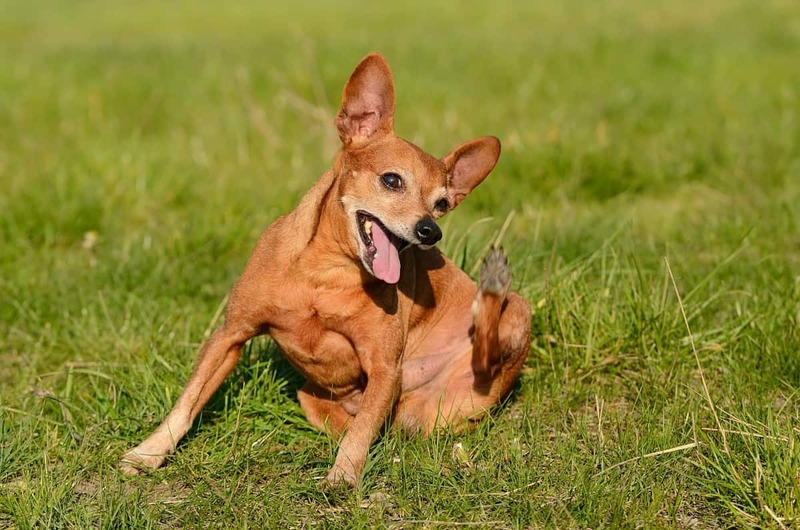 Some of the most common itchy areas will be the rear end, the base of the tail,and the feet though any area can be affected. Ear infections may also become an issue with food allergies. 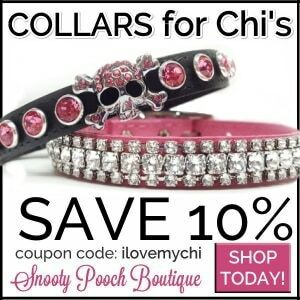 Check your dog’s ear for redness, or odor. They may shake their head a lot too with an ear infection. You may notice a discharge coming from one or both ears. Another sign of food allergies are vomiting and runny poop or diarrhea after eating. 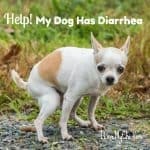 If your dog often has an upset tummy after he eats, it’s a good chance there is a food allergy going on. Your dog can experience one or all of these symptoms when dealing with a food allergy. 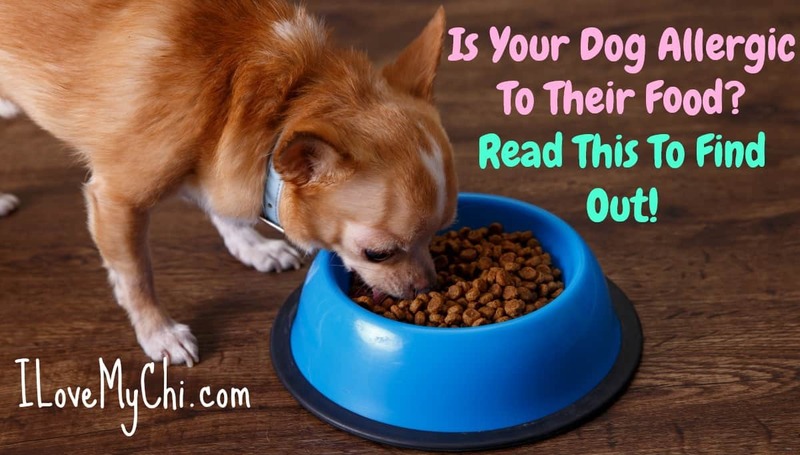 Unfortunately most commercial dog food contains things that can trigger food allergies. Read the label for fillers and dyes. If there is an ingredient you can’t pronounce or you don’t know what it is, google it to see if it is dye, filler or a known allergen. Many grains can trigger allergies too. And surprisingly many common foods can cause an allergic reaction. You can check for yourself to find the culprit by trying an elimination diet. 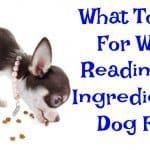 Check out the ingredients in your dog food and buy food that doesn’t have those ingredients. Since it’s next to impossible to test for all ingredients at the same time, just test one at a time and start with known trigger foods and chemicals. You may want to keep a spreadsheet or list to keep track of everything. Put on your spreadsheet a list of all the ingredients in your dog’s original food. Then go down the list and test one ingredient at a time. 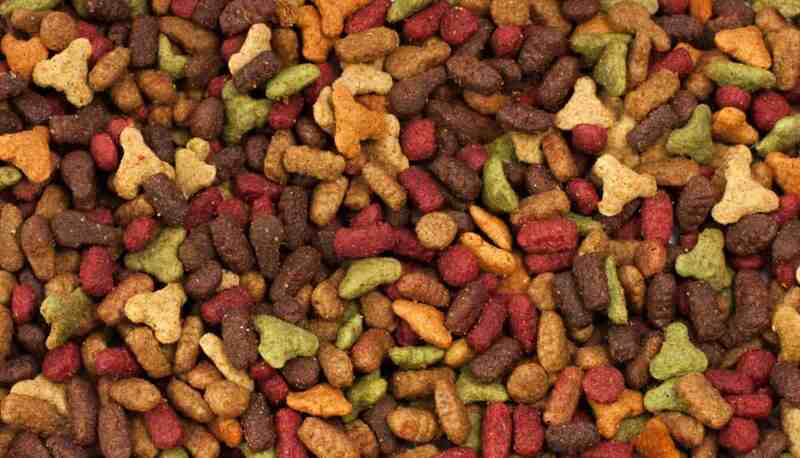 An example is if your current dog food has corn in it (a known allergen) , buy some food that is corn free. If the allergies clear up after being on the new food for a week or so, then you have found the trigger. If the allergies still continue, go to the next ingredient on your list and buy a food that doesn’t contain that ingredient and test again for a week or two. You’ll need to feed him the food without the suspected allergen for at least a week (but two weeks is better) to see if there is a change. 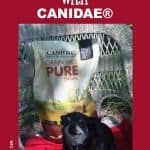 If this elimination test doesn’t work, then try switching to organic dog food as it usually doesn’t contain fillers and doesn’t have the chemicals that regular dog food has. If feeding organic food doesn’t help, you make want to cook whole meats for her and if that doesn’t help, the next step is taking her to the veterinarian. 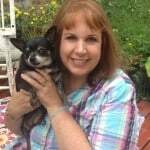 Tell your vet every thing you have tried. Keep good records so you can show your vet exactly what you have done. 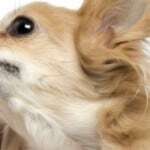 Food is not the only thing that can trigger allergies in dogs but it is the most common thing. 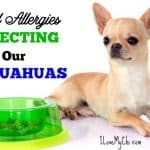 Does your dog suffer from allergies? Tell us about them (and what you did to help your fur kid) in the comments.